Baltimore Says, 'Immigrants Welcome' Baltimore's population has been declining for decades. Now the city is reaching beyond its borders for growth, courting immigrants with new programs and laws. The big question: Will it work? As part of the National Immigration Integration Conference, nearly 50 new American citizens were sworn in Sept. 22. Hundreds of people gathered in September at Baltimore's harbor as the wind gusted off the water's edge. 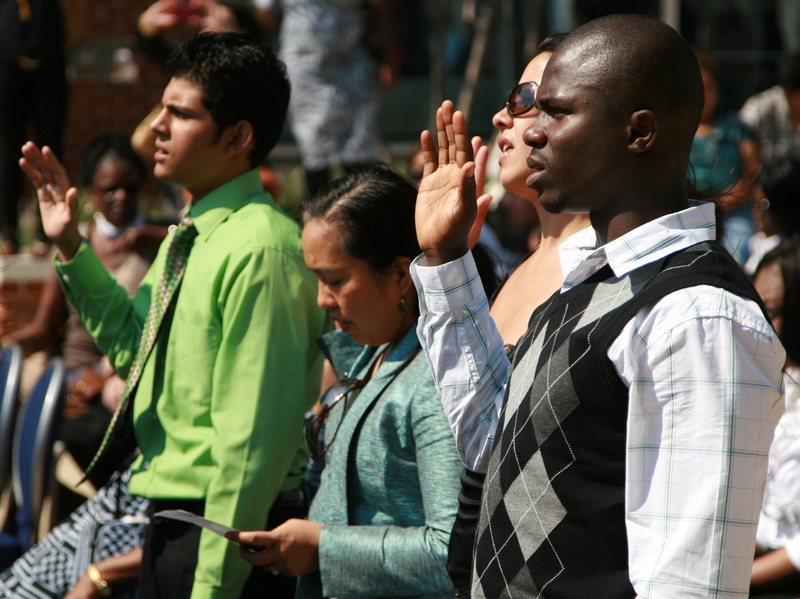 Nearly 50 of them were about to be sworn in as U.S. citizens. Some were young, some old. There were uniformed members of the U.S. military, parents and children. There were immigrants from El Salvador, China, Honduras and countries in between. 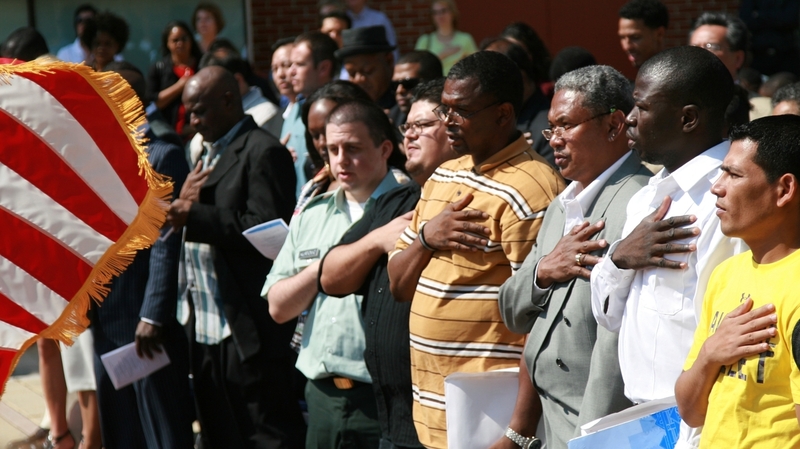 They raised their right hands, recited the naturalization oath to the United States, and were declared fully American. 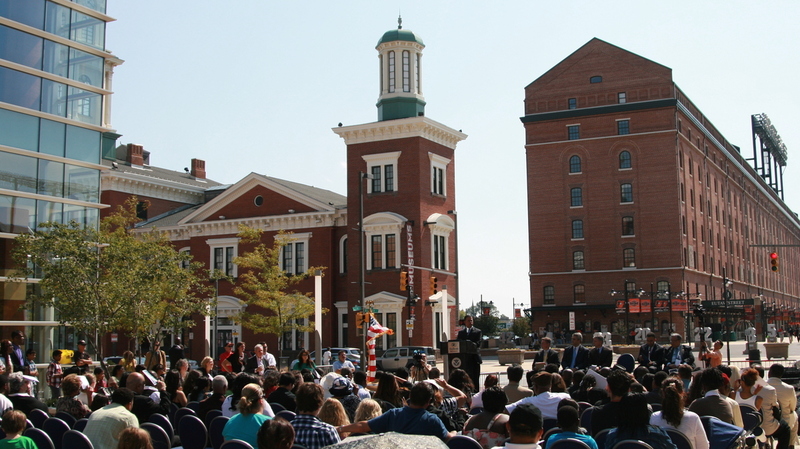 Hundreds gather in Baltimore's harbor Sept. 22 to witness the naturalization of nearly 50 new Americans. Al-Sagheer says he could have moved to another state, but his relatives convinced him to settle just outside of Baltimore. Nearly 50 immigrants took the U.S. naturalization oath at the Baltimore harbor on Sept. 22. Amanda Bergson-Shilcock has worked for nearly a decade at The Welcoming Center for New Pennsylvanians. It's one of many nonprofits that have teamed up with the city to help immigrants find jobs, start businesses and put down roots in the city.